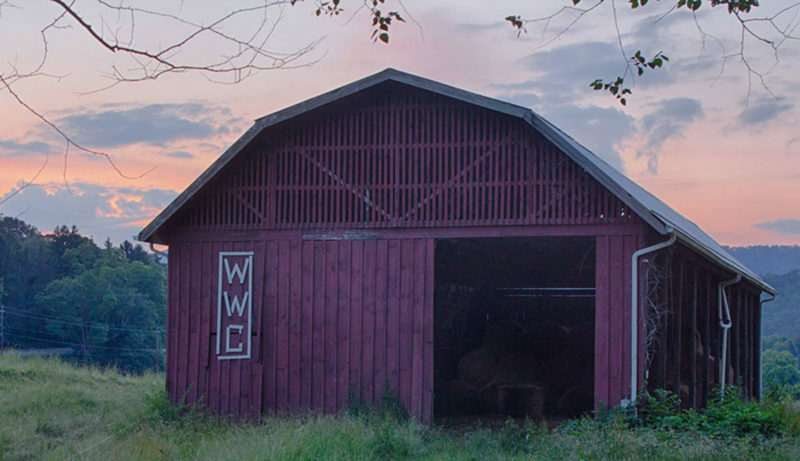 The Warren Wilson College Red Barn is the first thing visitors see when they drive up to campus. It's a view even more students will have the chance to see through the college's new free tuition programs. Asheville, NC – Oct. 30, 2017 – When Lynn Morton delivered her first speech as president of Warren Wilson College, she made a prediction: “We will support our community as it supports us.” Her vision is now a reality with the launch of two historic initiatives designed to give undergraduate students the chance to attend Warren Wilson College tuition-free. Janelle Holmboe, Warren Wilson College’s vice president for enrollment and marketing, believes the NC Free Tuition Plan will further diversify the campus population. Morton worked alongside the Office of Admission to design programs that were grounded in the College’s founding. For 123 years, the Swannanoa Valley campus has stood for educational access through a model that encourages work in exchange for part of tuition. Since her announcement as president, Morton has zeroed-in on this history, hoping the College could one day return to its roots. “Our history of providing education to students in this region compels us to focus a tuition plan specifically for students in North Carolina,” Morton added. While the NC Free Tuition Plan depends upon North Carolina residency for qualification, Milepost One eliminates geographic restrictions and takes educational access beyond the historical precedent. Milepost One is a competitive, full-tuition scholarship for the students and families that may not be eligible for federal or state need-based grants. These families have too much income to qualify for Pell and other low income grant programs, but not enough income to be able to comfortably pay for college. Holmboe explained the unique, family focused application process for Milepost One. Additionally, Holmboe said her division was using the launch of these new programs to do even more. Effective immediately, the undergraduate application fee is being eliminated for all students. “This is yet another example of our commitment to educational access,” Holmboe explained. These new programs make sense for Warren Wilson College, and national data adds more support to the approach. To be eligible for the Warren Wilson College NC Free Tuition Plan, applicants must submit proof of their North Carolina residency and qualify for federal or state need-based grants through the Free Application for Federal Student Aid (FAFSA). Accepted students will receive the remainder of their tuition free through scholarships, need-based grants and Warren Wilson College’s unique work-grant. In addition to the two-minute video, applicants considered for the Milepost One program must have completed a FAFSA and have a minimum 3.0 weighted high school GPA. Morton noted that while undocumented students are not eligible for state and federal aid, they are eligible for Milepost One and other college aid programs. To inquire about admission to Warren Wilson College and learn more about these programs, please submit a Request for Information.